Welcome to the Internets Oldest and Largest DataBase of TV Series Episode Guides, Cast and Crew Information, Animated Film Lists with Online Pictures and Videos. In short, the largest compilation of animated film information in one place, anywhere. We catalog all your favorites, and many thousands more that you have never heard of. So look up some old favorites, and explore even more... because BCDB was made for you to jump in and get totally immersed in the world of animation. Explore all the artists that created and produced your favorite shows and series. See all the episodes in your favorite animation series, read about each episode, and see what order they aired in. Look around the studio entries and find even more films in the series, or other related works. Learn the history surrounding the films you love or look into the future films that will be coming out soon. You will find complete crew lists, release dates and all sorts of other information that relates to your favorite animated films. Columbia Pictures was formed in 1919, and is still with us today with feature films from Sony Pictures Imageworks. Along the way, you will also be able to explore cartoons from UPA and Screen Gems, as well as theatrical series like A Color Rhapsody and Krazy Kat. Second only to Hanna-Barbera, Filmation Associates was a monster in television animation in the 70's and 80's in the US. Though the animation was often limited, the breadth of the shows ranged from science fiction and space to the old west and Gilligan's Island. Historically, the Fox animated films began with Winsor McCay's Gertie the Dinosaur in 1914. Today, Fox is known more for it's animated television shows like The Simpsons and Family Guy. Bill Hanna and Joe Barbera created an industry when MGM closed and the two directors teamed up to make limited animation television shows. From The Jetsons to the Flintstone.... to Powerpouff Girls, Bill and Joe's influence is still felt today at Cartoon Network. One of the classic studios of old Hollywood, MGM also played a pretty big role in animation in the 1940's and 1950's. Great directors like Fred "Tex" Avery, Hanna/Barbera and even the great Chuck Jones all called this studio home at one time or another. There are a lot of other producers of animation than the big 5 or 6 studios that have their own categories. Those thousands of studios are all listed here. Many of the other studios are well known- Dreamworks or Nickelodeon for instance... aqd others have only released a single film. Another of the classic Hollywood studios, Paramount was the home of the Fleischer brothers. Their Fleischer (and later Famous) Studios produced many of the greats of the silver screen, including Popeye and Betty Boop. All of those animated films lists and more are here. Universal Studios is the oldest movie studio in continuous production in the United Sttates, and the fourth oldest in the world. While their legacy is long, they also look to the future with Illumination Entertainment and the Despicable Me series. Go Minions! Where would we be without the famous- and beloved- Warner Bros. characters? If for no other reason than Looney Tunes and Merrie Melodies animated series, this is a studio you can lose hours looking through. The studio has reinvented itself with modern animated television shows, and those TV Series Episode Guides are here to explore, too. Are you a little intimidated or put off by the largest list of animated films on the Internet? Don't be! Just dive right in. You cannot break the BCDB. And we are here for you to explore. We want you to look at all the films around the one you are looking for. Discover the rich history of animation films by exploring the output of whole studio, not just a single film. Use the search... search directors, writers or cartoon characters. just look around and see what you can find. Or start in the boxes below. Have You Heard About? is a random film that is coming out in the next year or two. And Toon of the Day will take you to something release on this very day in history. Don't see anything interesting to you? Refresh the page and get a new batch of random toons! Further down the page, there is a link to Academy Award winning films. If you have any questions- ASK! We have a great Forum. Post your questions there and someone will be happy to help you out! 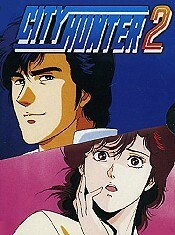 featuring Ryo (Joe) Saeba, Kaori Makimura, Hideyuki, Kaori, Saeko, Reika. "Arranging A Mokkori Contract! The Tour Of The Delinquent Girl & Ryo, Part 1" has not yet received enough votes to be rated. 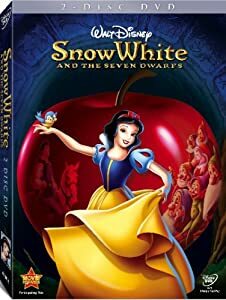 Animation Films Were Released Today in History!